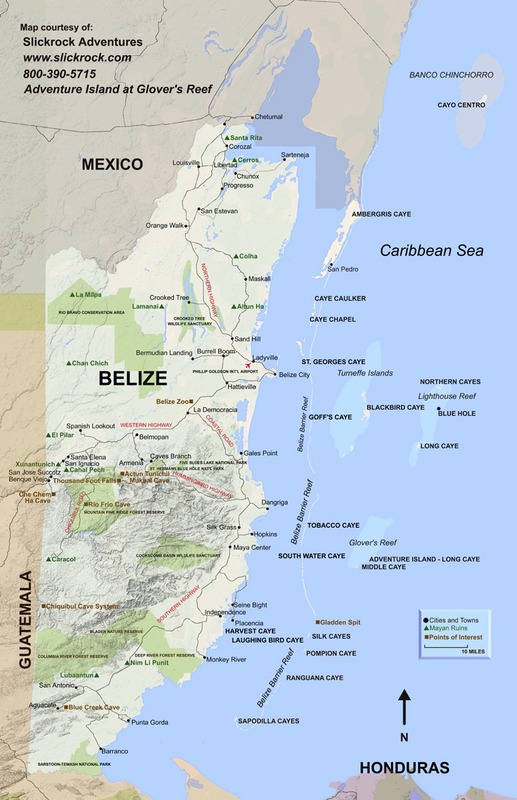 We created this Belize map because we couldn’t find a decent one anywhere that included cities in Belize, major roads and highways, Belize pyramids, major islands, a map of the Belize area, and other points of interest. 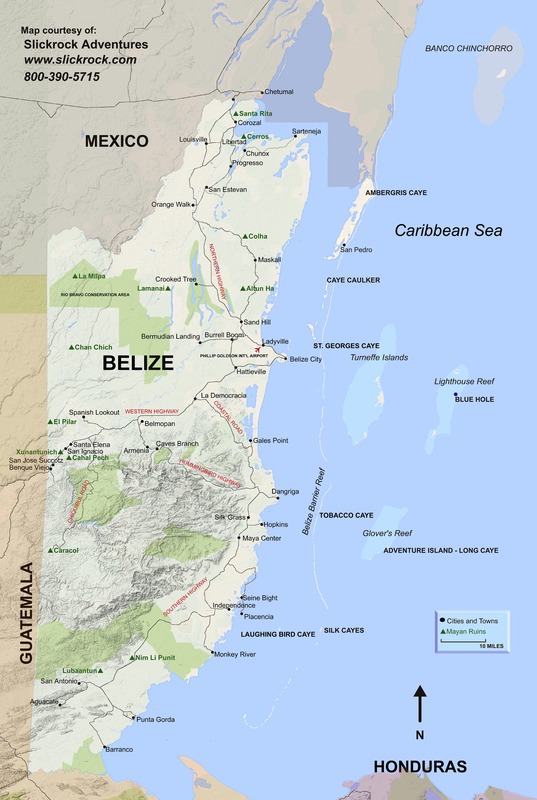 It is hands-down the best, simple Belize map you can find. If you live in the US or Canada, we will mail you this map, free of charge. Fill out this form and we’ll send it to you. 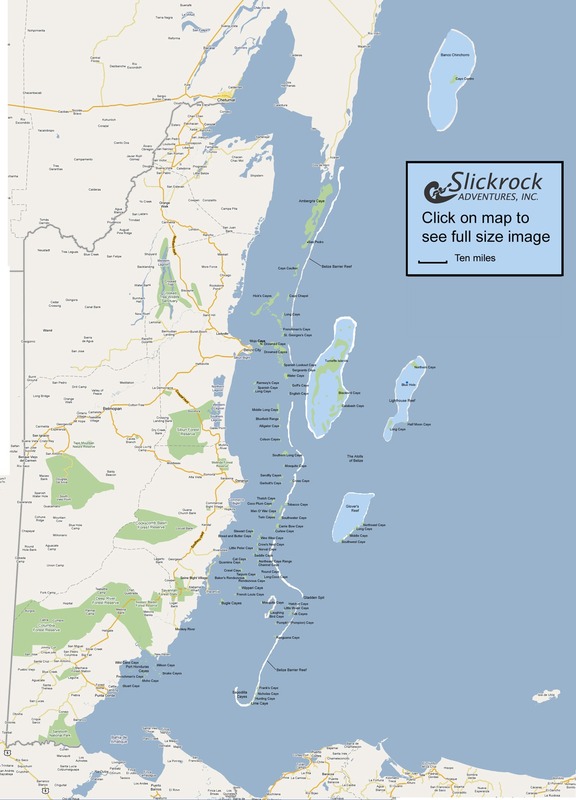 If you need an even better map with all of the towns and roads in the country, we sell the best Belize map available, published by National Geographic. The level of detail of the map is seen in the image at left. Fill out the form and provide payment information, and we’ll send it to you right away. 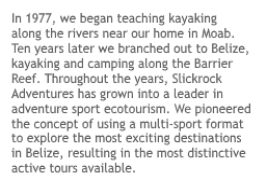 Many of our guests use one of our island adventures as a nucleus of a longer vacation. If you are planning a self-guided tour of all or some of the Mayan ruins in Belize, use this map to figure out your itinerary. This map of Belize ruins includes Xunantunich, Caracol, Lamanai, and ten other sites. We made this map because we couldn’t find a decent Belize map anywhere on-line. This is the only map available that includes the islands and atolls of Belize. 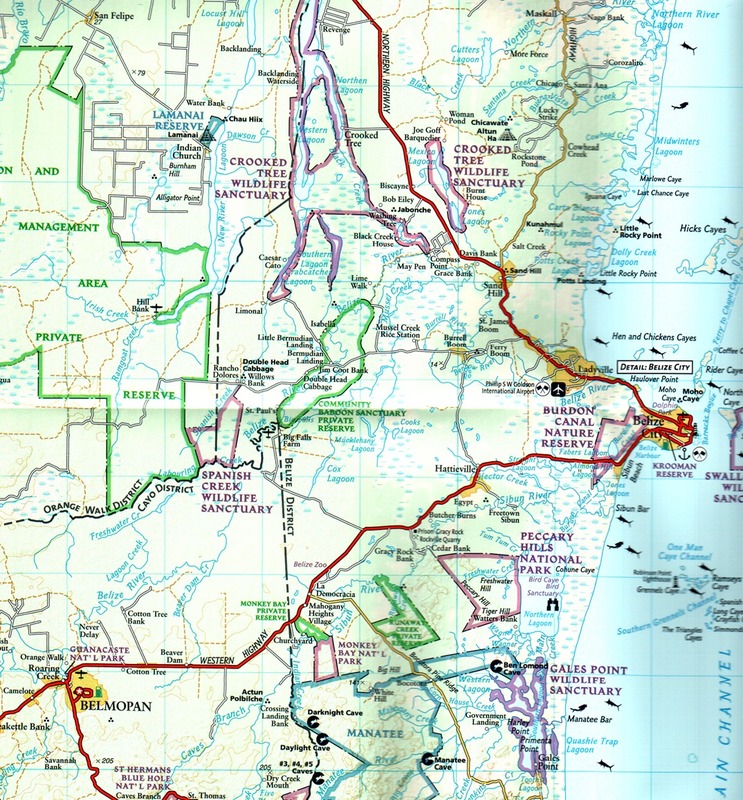 The map also includes most of the cities and villages in Belize, the Forest Reserves, and National Parks and Wildlife Sanctuaries in the country. 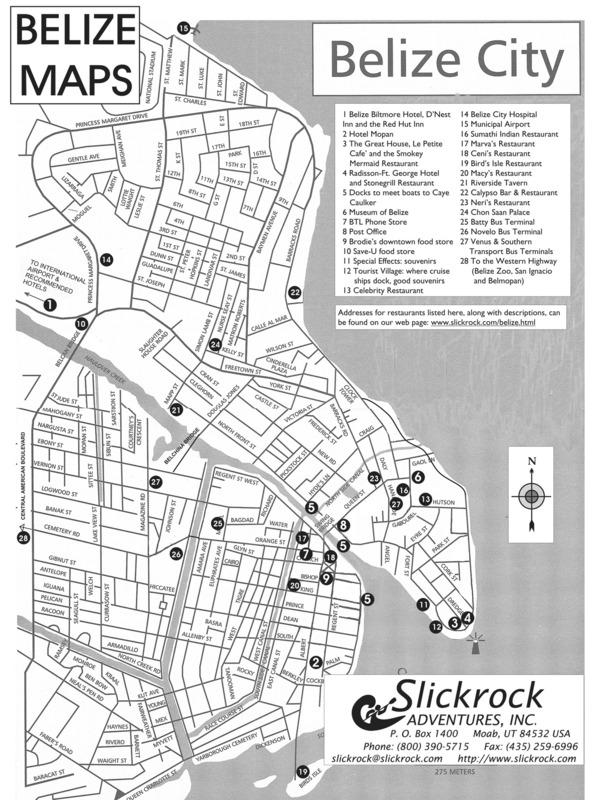 This map contains all of the downtown streets in Belize City, as well as major attractions located. 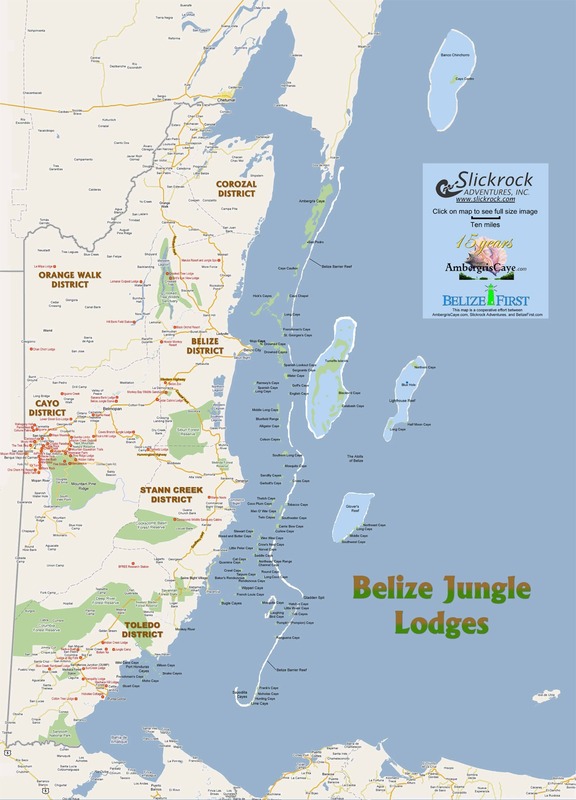 We created this map of all Belize jungle resorts because we have found that many eco lodges in Belize don’t tell you exactly where they are located, and sometimes when planning a trip to Belize, that’s something you need to know.